and this week, I made it! 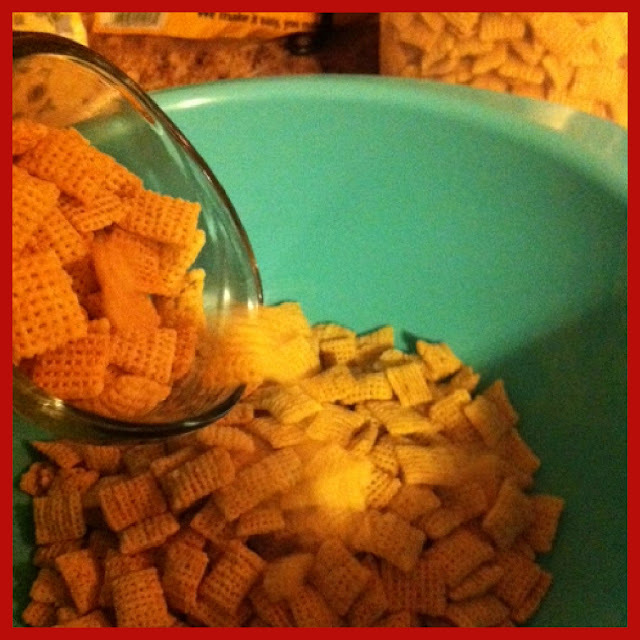 Measure out 9 cups of Rice Chex in a large bowl. In small microwavable bowl, microwave baking chips, peanut butter and butter uncovered on High 1 minute to 1 minute 30 seconds, stirring every 30 seconds, until melted and smooth. 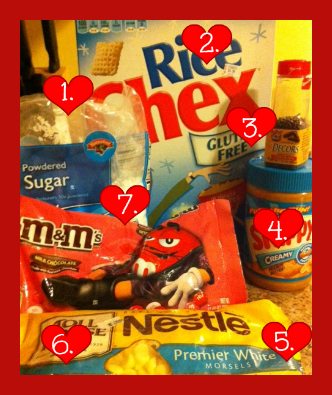 Pour peanut butter mixture over cereal, stirring until evenly coated. 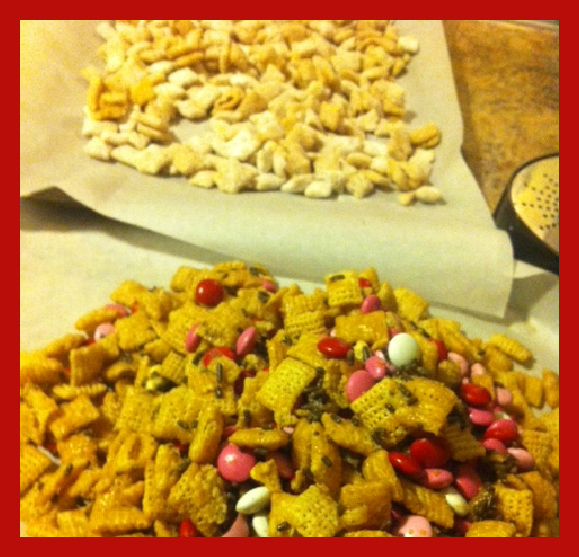 Place 1/2 of the cereal mixture in 1-gallon food-storage plastic bag. 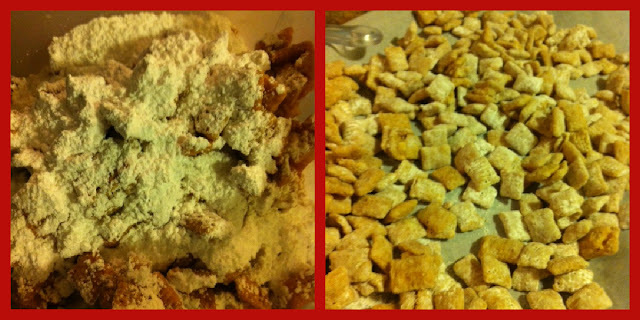 Add powdered sugar. Seal bag; shake until well coated. Spread on waxed paper or foil to cool, about 15 minutes. 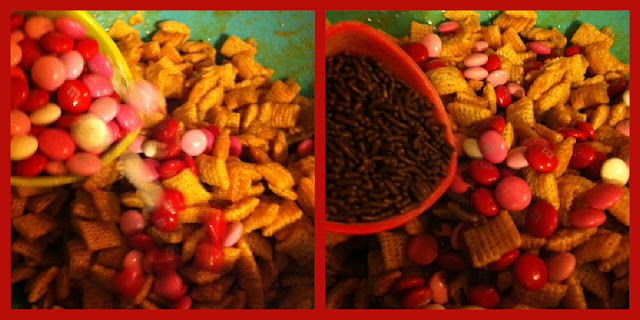 Meanwhile, stir candies and sprinkles into remaining cereal mixture. Spread on waxed paper or foil to cool, about 15 minutes. Mix Cereals together and store in an airtight container. Place into individual baggies for your co-workers! Yum! Thanks for sharing! 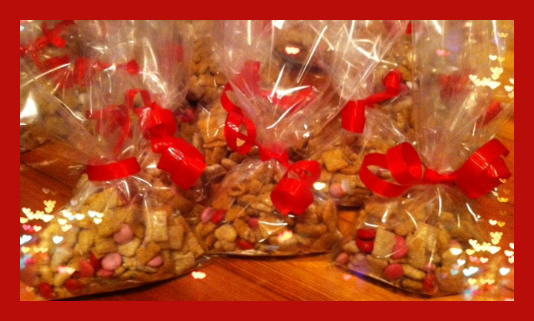 I've been wanting to make chex mix for awhile you def made it look easy to do - super cute gift idea! Looks yummy! Happy Valentines day! Found you on the link up and excited to read more!